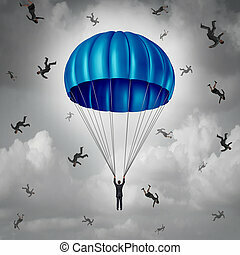 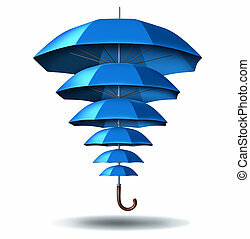 Business group protection and community security concept with a giant blue umbrella metaphor protecting multiple smaller umbrellas connected together in a social network as a symbol to protect team members. 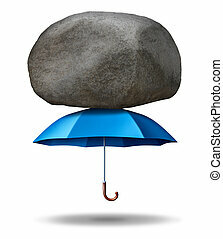 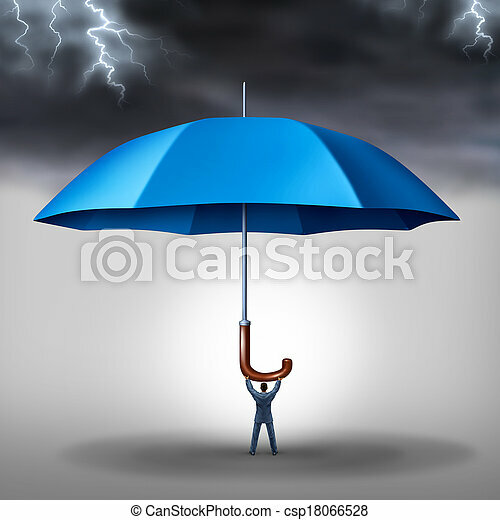 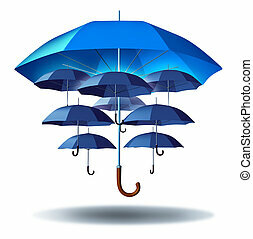 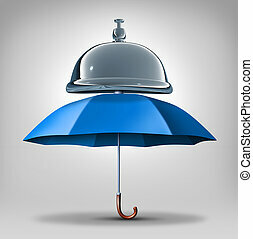 Protection services concept as a blue umbrella with a service bell as a symbol and icon for providing safety and security assistance as health benefits or business guarantees. 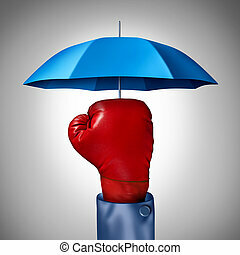 Competition protection business concept with a red boxing glove from a businessman with a blue umbrella symbol protecting as a defense and buffer safeguard for risk and financial uncertainty. 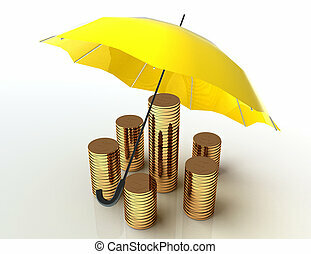 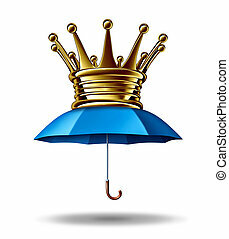 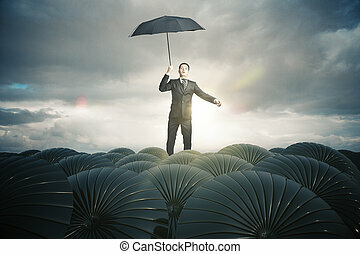 Protection leadership business concept as a blue umbrella with a gold crown as a metaphor for the bestfinancial security and guarding wealth and stability in a volatile economy on a white background. 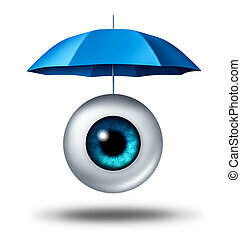 Vision protection and business viewpoint preservation as a human eyeball protected by a blue umbrella as a metaphor for eyesight safety or imagination and creativivity safeguard as a shield against opinion uncertainty. 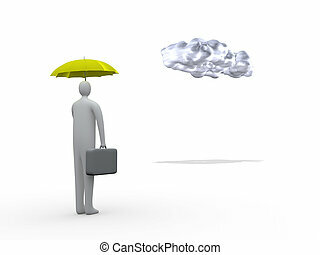 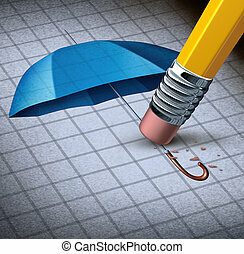 Losing protection business concept and health care security loss with an image of a blue umbrella being erased by a yellow pencil eraser as a symbol of financial trouble and a metaphor for increased risk. 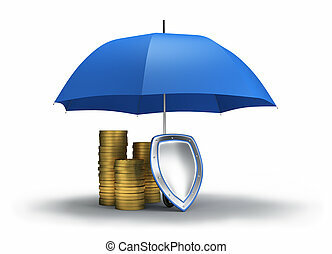 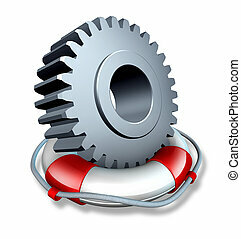 Business insurance concept and company owner protection as a gear or cog wheel in a lifesaver or life belt as a lifeline symbol of financial risk and security from hazards like flooding fire and burglary. 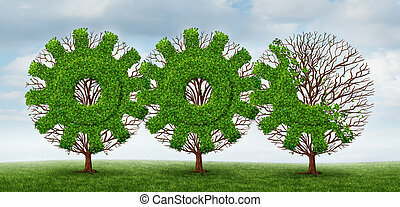 Business development and growing industry concept with trees shaped as a gear or cog connected together with future financial growth ahead on a summer sky background. 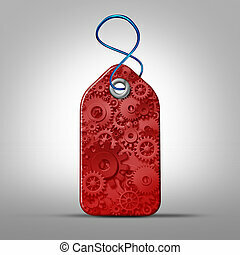 Retail business and store customer service industry concept as a price tag with machine gears and cog wheels as a symbol for the retailing industry. 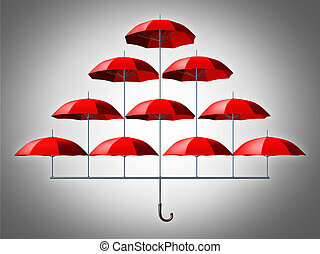 Group protection security concept with an umbrella made of multiple smaller red umbrellas connected together in a network as a symbol to protect a community of members. 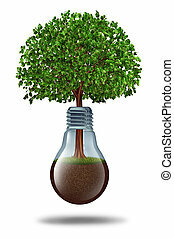 Business development and financial growth with a tree growing out of a lightbulb with fertile earth inside as a concept of innovation and ecological sustainability on a white background. 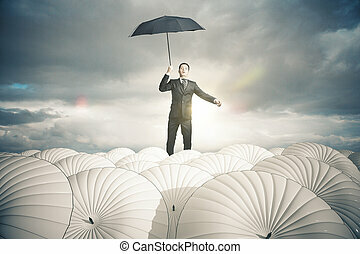 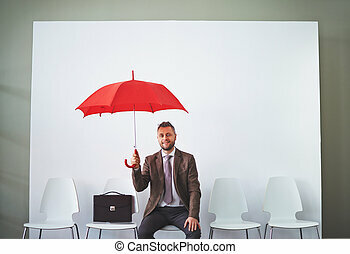 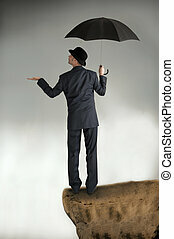 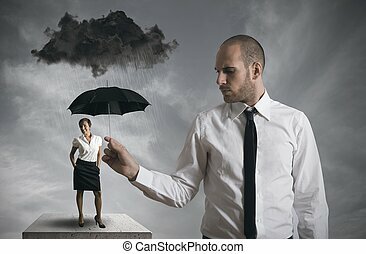 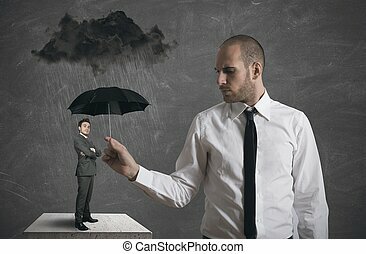 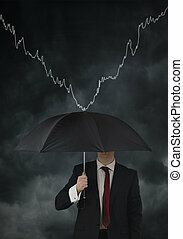 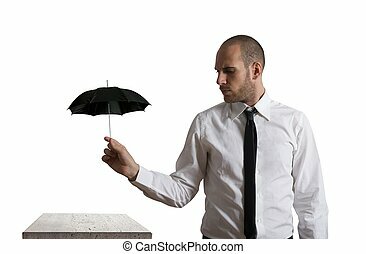 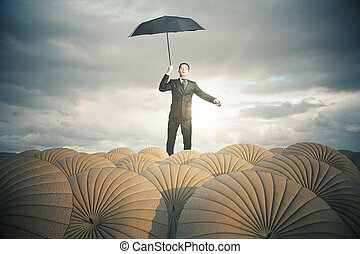 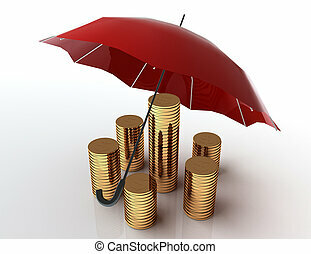 Best protection concept as grey umbrellas with a magnifying glass focusing on a red one standing out from the crowd as a confident icon of security and safe financial peace of mind.